Welcome to Year One! Room 10 is a very busy classroom with everyone working hard as a team to complete all of our activities. We love to share our ideas, work with our friends and create amazing work that we are very proud of. 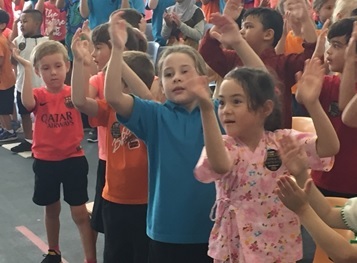 We have made a terrific start to the year and are really enjoying being at school every day. 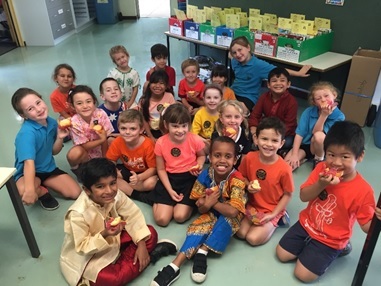 Enjoying our orange cupcakes on Harmony Day. 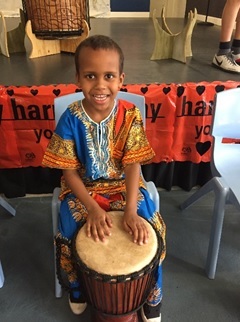 Landyn in his African costume enjoying a turn of the African instruments. Kai, Lana, Mihaela and Emi dancing up a storm at the Middle Eastern Infusion performance.